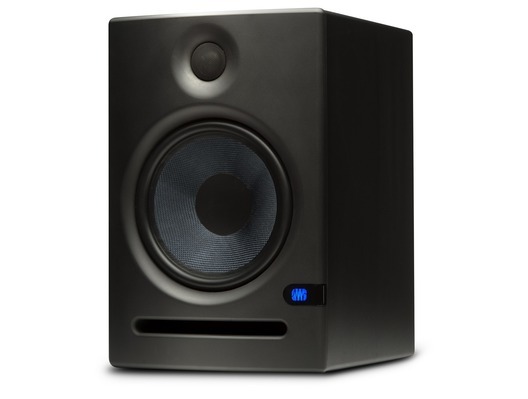 This is the PreSonus Eris E8 entry-level active 2-way studio monitor. PreSonus' Eris range have been designed and built specifically for the beginner market, yet haven't compromised on sound quality - unlike other studio monitors in a similar price range the Eris E8 will sound great whatever the environment. The in-built acoustic controls include HF and midrange driver adjust and a highpass filter so you can get the maximum impact from the woven composite woofer and low-mass silk dome tweeter no matter where in the room you place your PreSonus Eris E8. 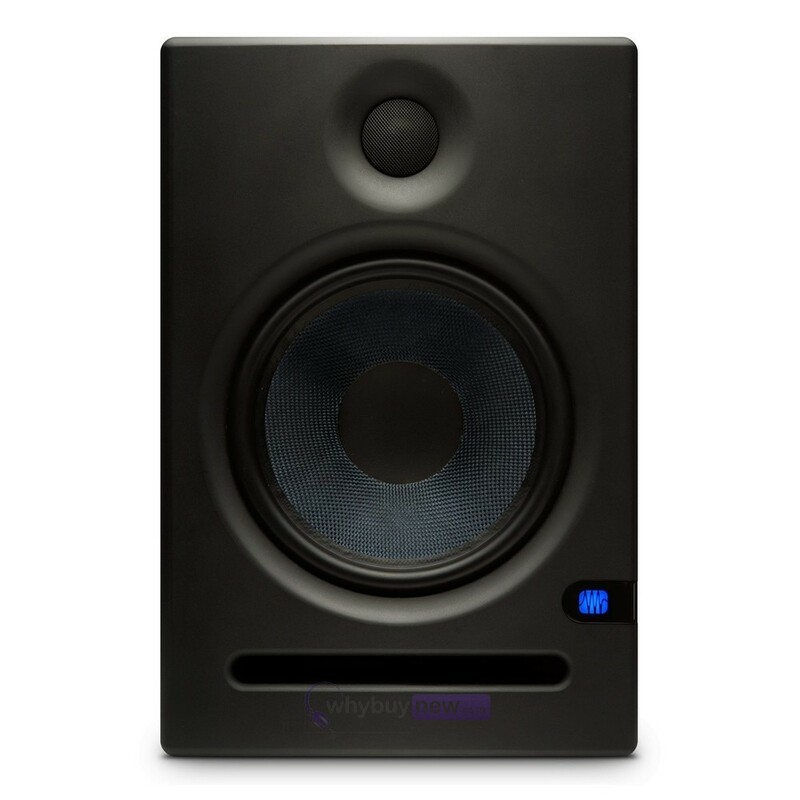 When you're serious about creating music, you need studio monitors that will speak nothing but the truth. 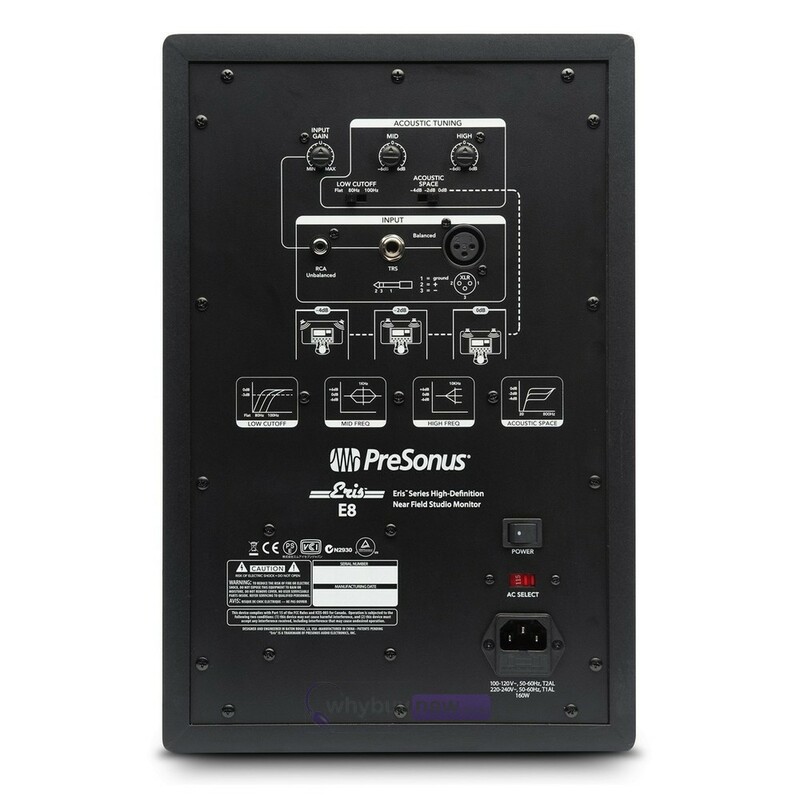 Eris-series monitors deliver a smooth and accurate frequency response, powerful Class AB amplification with loads of headroom, and a suite of acoustic tuning controls to mitigate room anomalies. Whether you're recording your first album or your latest hit, Eris monitors will ensure your vision is heard. Every Eris-series studio monitor utilizes a woven composite, low-frequency driver. The weave and nature of the Eris E8's eight-inch woofer helps break up reflected energy, so fewer delayed reflections reach the listeners ear. This provides a more constant dispersion pattern throughout the frequency range, resulting in less time-smeared audio and cleaner overall sound. Today's music producers deal with a wide variety of musical genres and often work in challenging mixing environments. That's why Eris-series studio monitors offer extensive acoustic tuning controls. The three-position Acoustic Space switch helps to compensate for the boundary bass boost that can occur when a monitor is placed in a corner or near a wall. High and Mid controls help to further mitigate room anomalies. 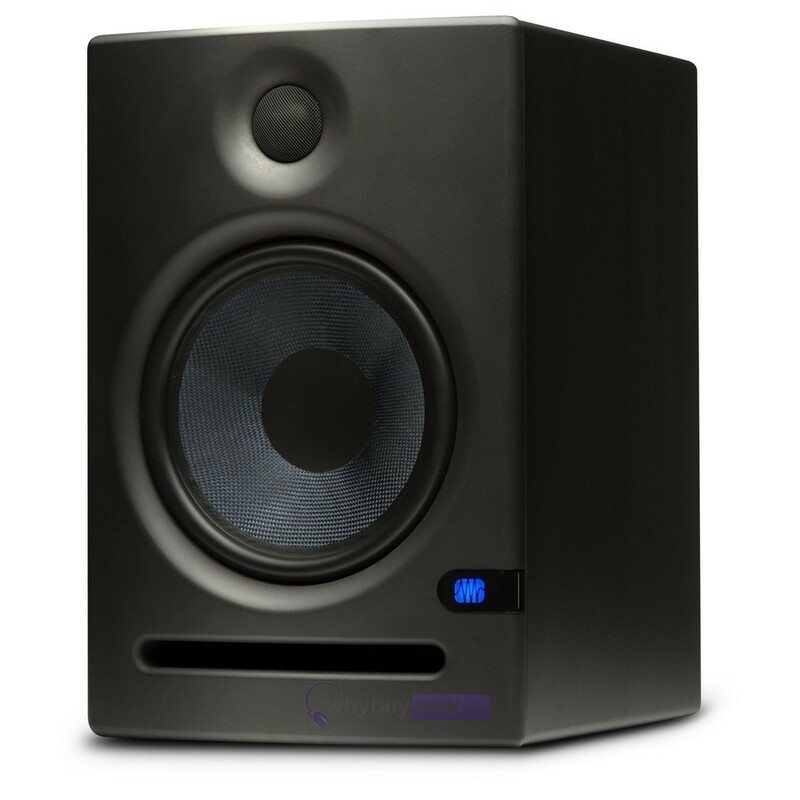 A Low Cutoff filter makes it easy to integrate a Temblor subwoofer into your monitor setup. With three different types of audio inputs, it's easy to feed audio to your Eris monitors from an audio interface, mixer, monitor controller, or almost any other line-level source. Eris E8 monitors provide balanced XLR, balanced 1/4" TRS, and unbalanced RCA line-level inputs. With this selection, youll have no problem hooking your Eris speakers up to virtually any line-level source.